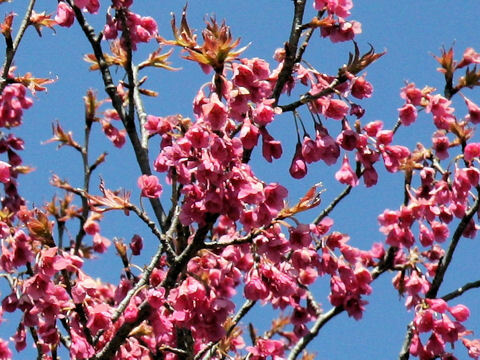 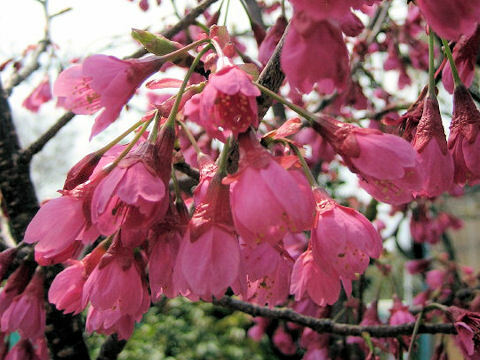 Taiwan cherry (Prunus cerasoides var. 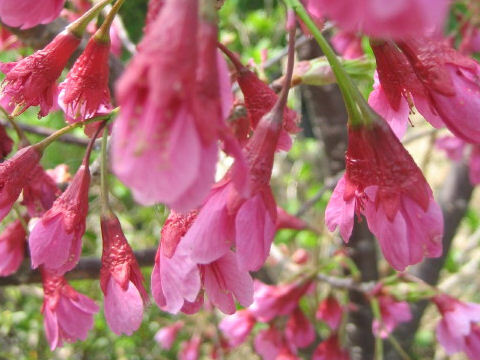 campanulata) belongs to the Rosaceae (the Rose family). 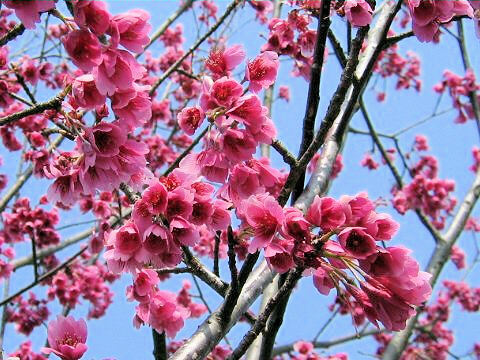 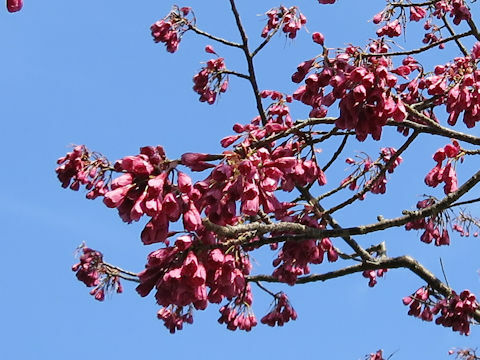 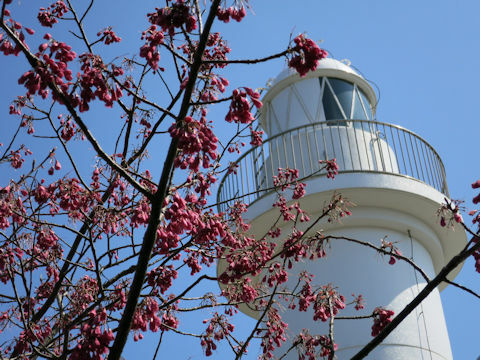 It is a semi-tall deciduous tree taht is native to the Ryukyu Islands of Japan, Taiwan and southern China. 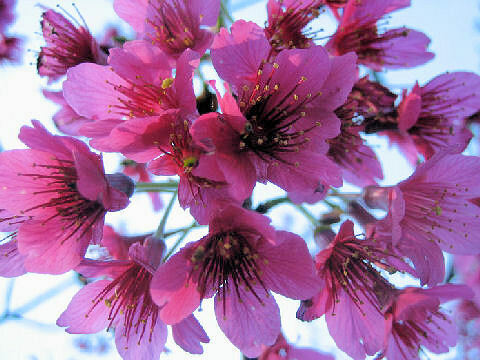 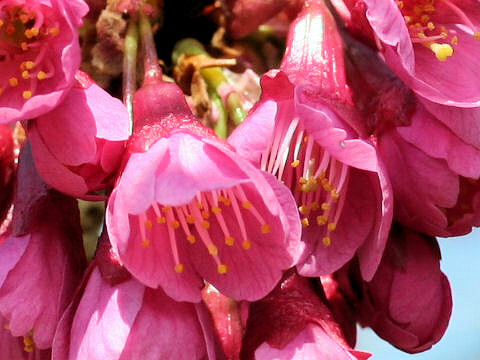 This cherry blooms bright dark-rose flowers in early spring. 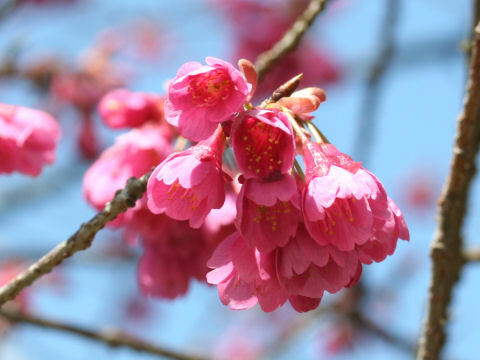 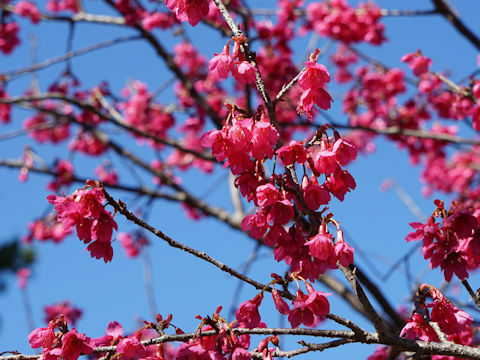 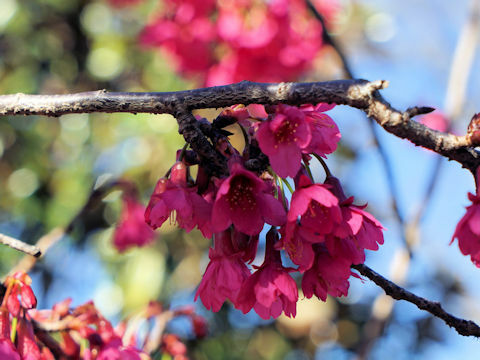 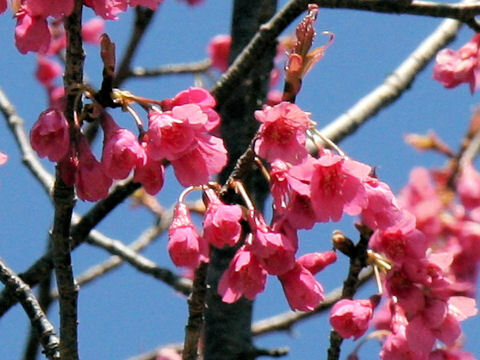 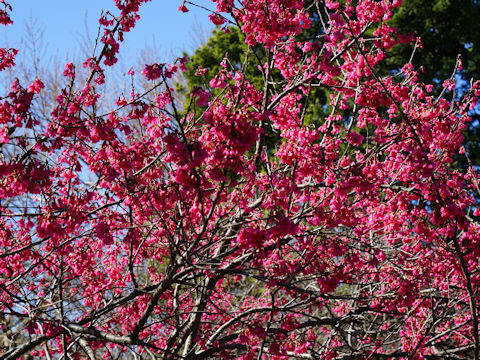 They can be found in January to February at Okinawa, and in March at Honshu of Japan.